The close of our kidmin program was approaching and I knew the kids and families would be wondering about the final event. Yes, we'd been planning it but I still needed to start promoting it; and I also had upcoming birthdays for three family members, my parents' combined 80th celebration, a leaders' summit and a trip away to plan. At this rate, I'd collapse in a nervous heap before I ever left for my week away. We try to include a special kidmin event every term, generally at the conclusion of our current kidmin program. series or emphasis. Yes.. they mean extra work but these events provide additional interest and excitement for the kids and highlight our kidmin within the church family. They're also a non-threatening and fun event to extend an invitation to non-churched families and friends. Just sign up.. it's free. The program walks you through each step and even suggests wording for your event. You'll need your own images to personalise your promotion but you'll find it's simple to upload them. There is also a gallery page if you have a number of images or if you want to include a growing collection of images of your program to share on your social media. You'll find a list of the Splash features below. * Mobile optimised so your promotion can be viewed with computer, smartphone or ipad. 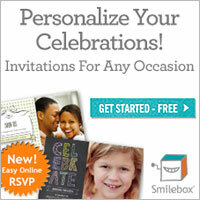 * Email invitations can be generated. There are other optional features, such as unique event domain and removal of the Splashthat watermark and branding, that will incur a cost if you request these pro features. Check out the site for more information... here.